There is no competition, and no country is better. Japan is the unrivaled king of train games. Case in point: Famitsu and 4Gamer report that Taito is celebrating the 20th anniversary of its Densha de Go! (Go By Train!) arcade series with its most impressive arcade cabinet yet. Square Enix’s VisualWorks is overseeing the graphics, and the cabinet has three monitors as well as fourth screen with the dash to give players the sensation of operating a train. 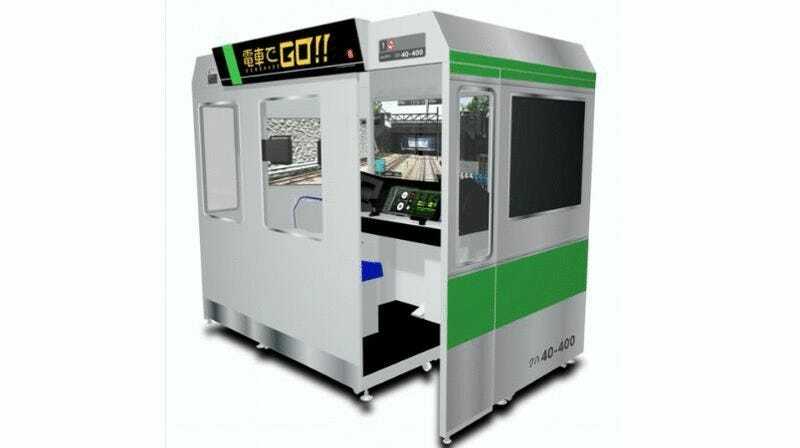 Taito is preparing online updates for Densha de Go!, and at release, the game will start off with the Yamanote Line in Tokyo, but expand to other train lines (and train companies) across Japan. The cabinet is not only expected to hit Japanese arcades next spring, but also expected to be awesome.